Away from the hullabaloo of the Six Nations, it really wasn't good to read about the unedifying scenes of Spanish players furiously chasing after Romanian referee Vlad Iordachescu following their controversial 18-10 defeat in Brussels to Belgium at the weekend - a defeat that cost them automatic World Cup qualification. That said - and while in no way condoning the players' actions - Spain were red hot favourites to beat Belgium and qualify, Iordachescu did apparently penalise them TWENTY EIGHT times compared to Belgium’s eight, and the country that stood most to benefit from a Spanish defeat was, yes, Romania who now qualify automatically for Japan 2019 while Spain are left to negotiate the play offs where they are likely to face Samoa. So I can understand why the Spanish players might have been a tad upset, although the behaviour of some them was simply unacceptable. Why a Romanian referee was allowed to officiate is anyone's guess and, for the sake of propriety, I would have thought that the case for replaying the fixture - without, I hasten to add, the participation of the offending Spanish players - is pretty persuasive. 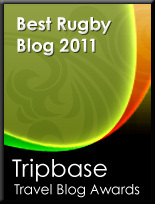 Time to send for Nigel Owens? Let me add a comment here. 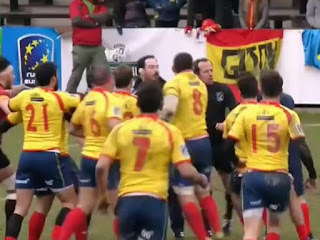 The Spanish "Federación de Rugby" requested the ref to be changed some weeks before the match, but Rugby Europe declined to change him.